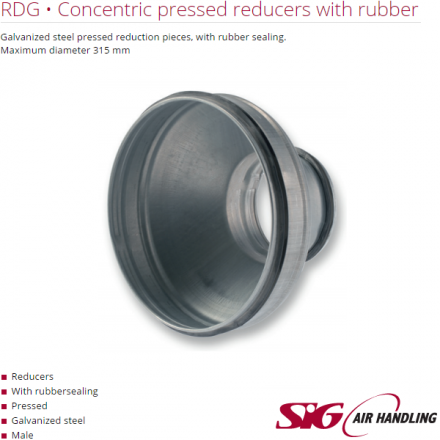 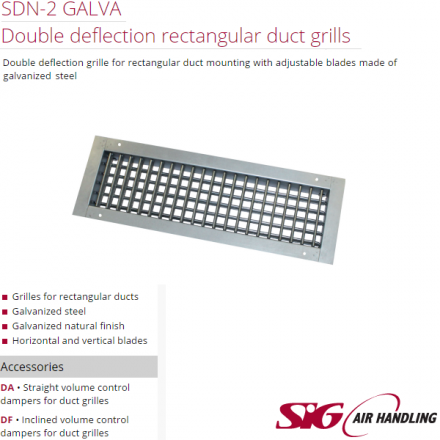 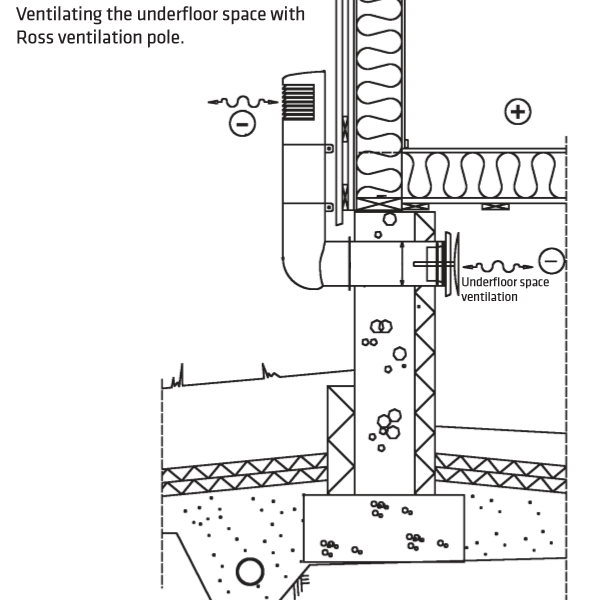 For ventilating the crawl space of a house, thus preventing damp damage and radon problems in ground floors. Can also be used as an inlet air pipe. 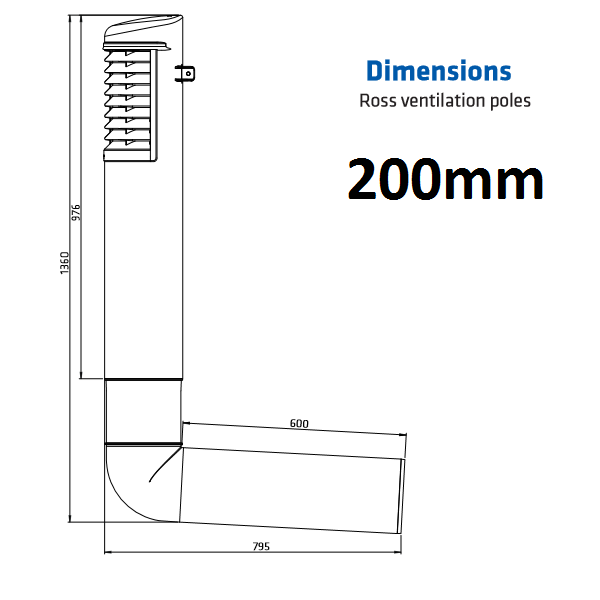 Dimensions: Inner Ø of the angle pipe 200 mm, outer Ø 208 mm. 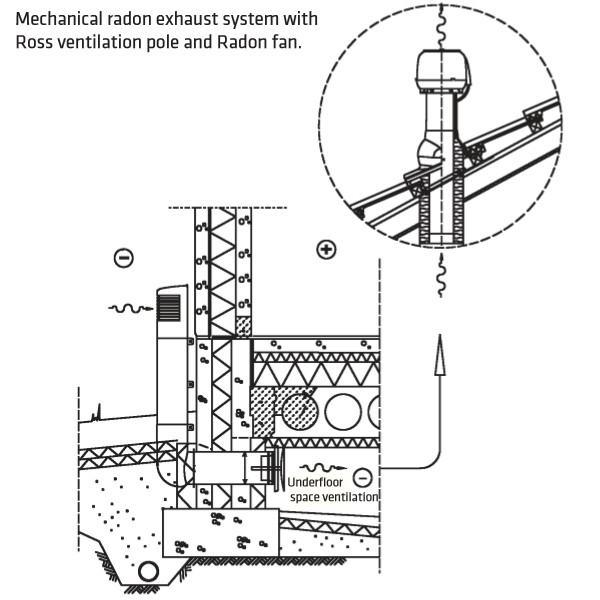 Contents: Cowl, vertical pipe, wall fasteners with screws, angle pipe, Ross wall sleeve, two centering rings. 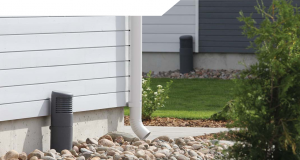 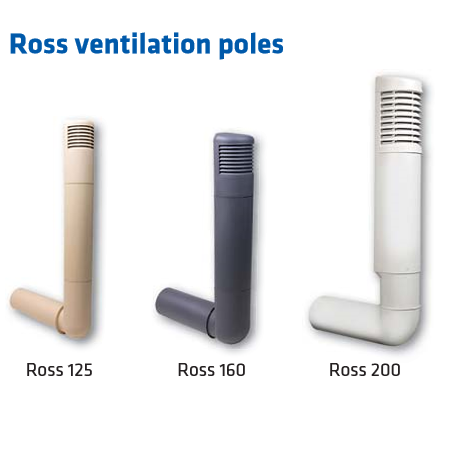 The Ross ventilation pole is available in three different sizes, Ross-125, Ross- 160 and Ross-200. 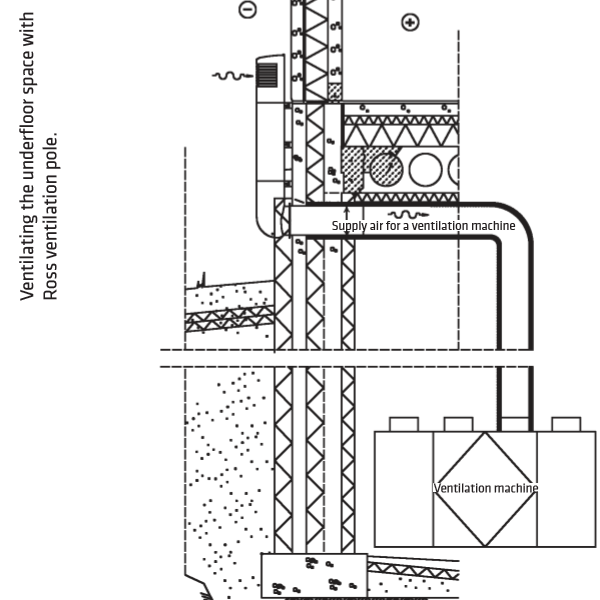 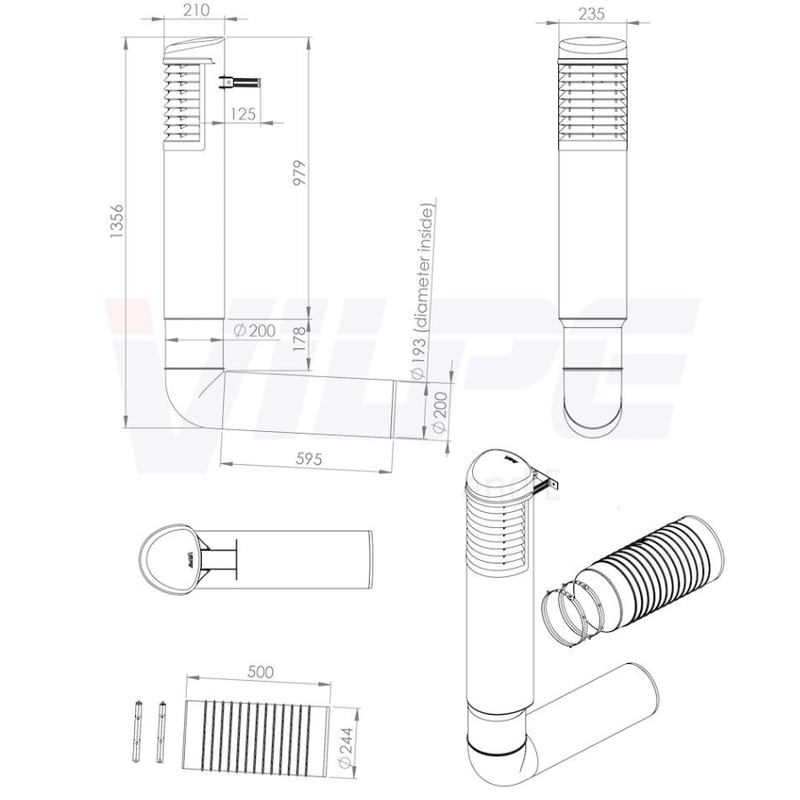 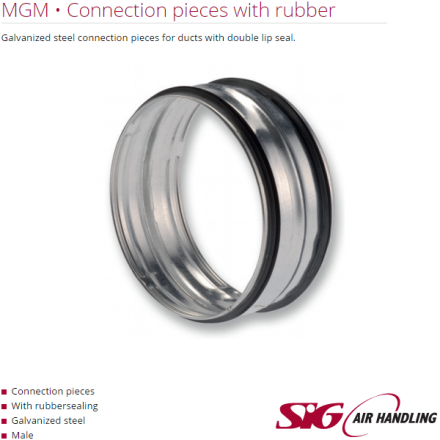 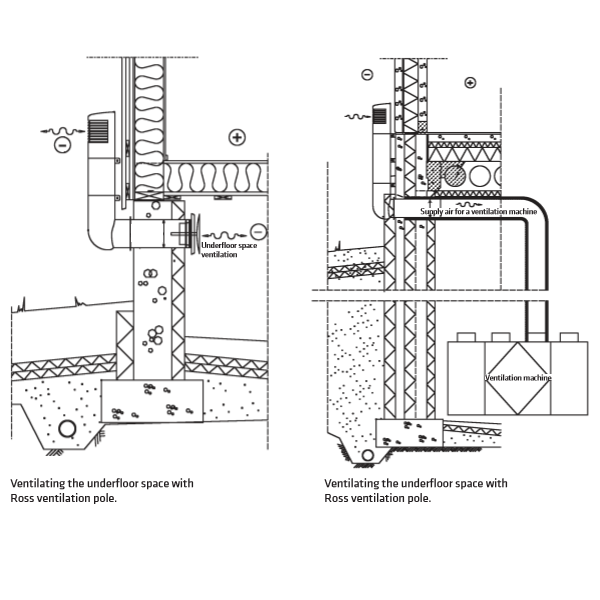 Select the appropriate duct size according to the airflow in the duct. 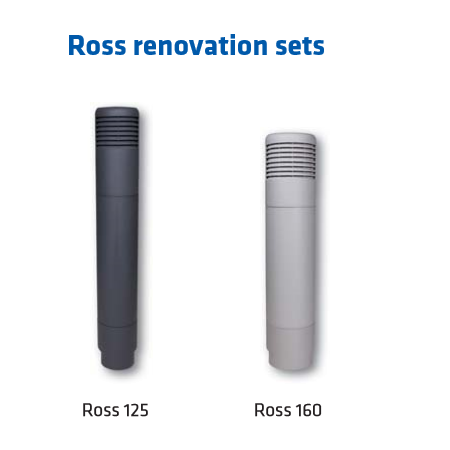 Ross-125 can be connected to a 125 mm ventilation duct, and requires an approx. 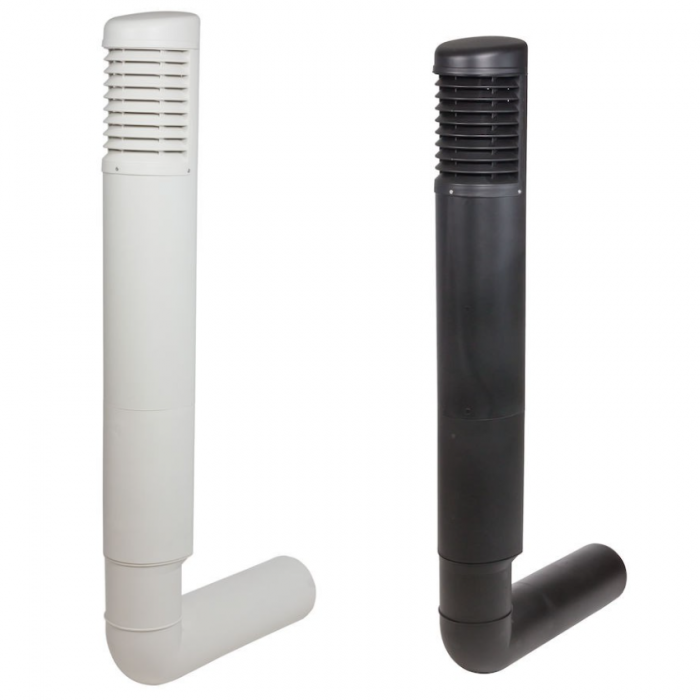 170 mm opening for installation (134 mm without an installation pipe). 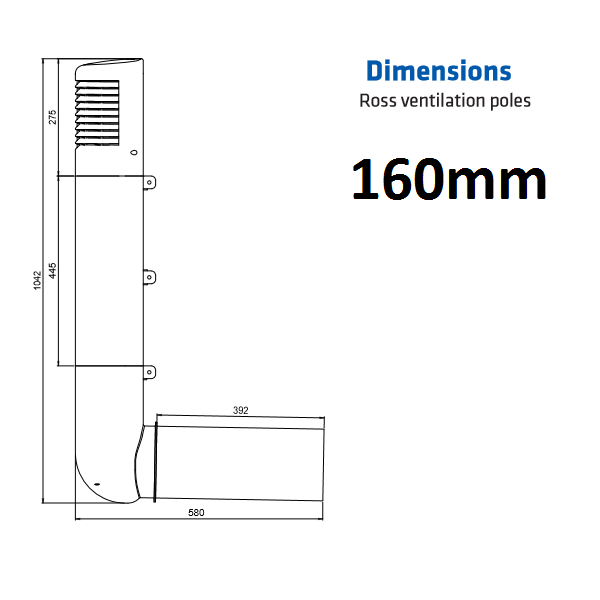 Ross-160 can be connected to a 160 mm ventilation duct, and requires an approx. 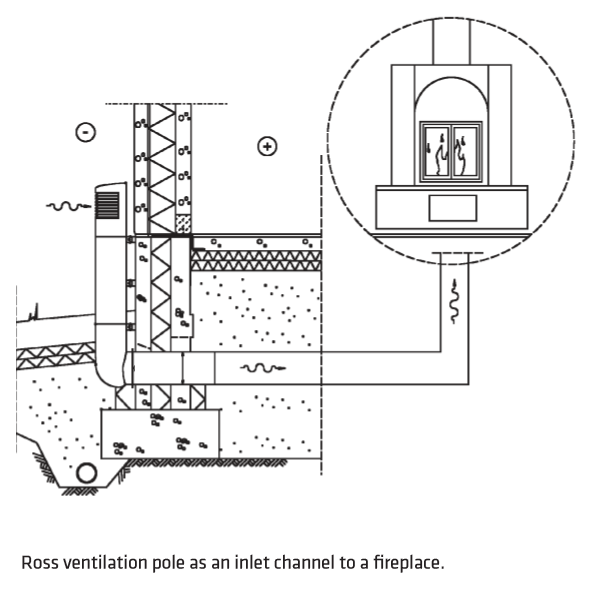 208 mm opening for installation (170 mm without an installation pipe).Ross-200 can be connected to a 200 mm ventilation duct, and requires an approx. 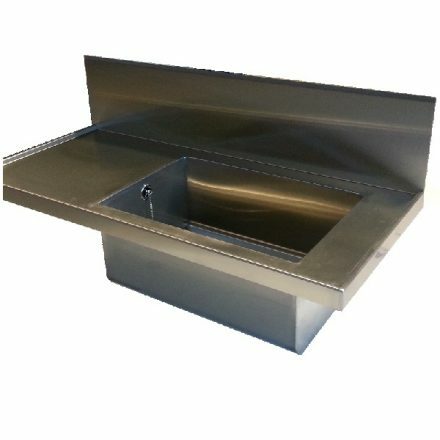 248 mm opening for installation (210 mm without an installation pipe). There are six colours which give an opportunity to choose the colour of the ventilation pole according to own preferences and the architecture of the building. 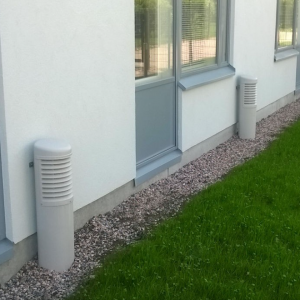 The colour can be chosen to suit either the masonry or the external cladding. 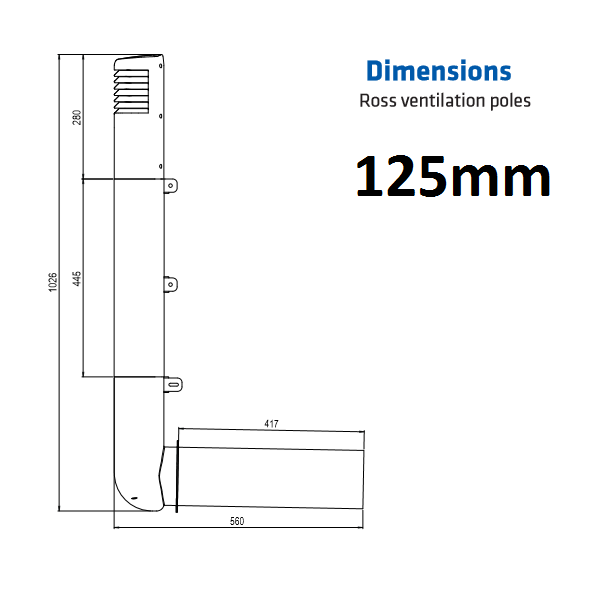 The Ross ventilation pole kit includes a cowl, vertical pipe, wall fastenings with screws, angle pipe and detailed installation instructions. 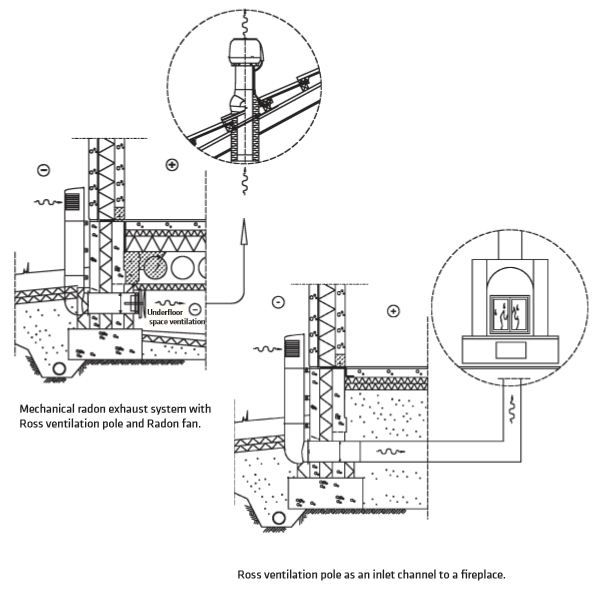 Several pieces of the vertical pipe can be ordered if a longer pipe is needed, and the cowl and angle pipe can be ordered separately.